Thu Apr 21 11:22:37 2016 All TAP-Windows adapters on this system are currently in use. Thu Apr 21 11:22:37 2016 All TAP-Win32 adapters on your system are currently in use. Preliminary check: Please upgrade to the latest version of ExpressVPN (which contains the latest ExpressVPN TAP Driver) first. If you already have the latest version of ExpressVPN, please uninstall and then reinstall your app. 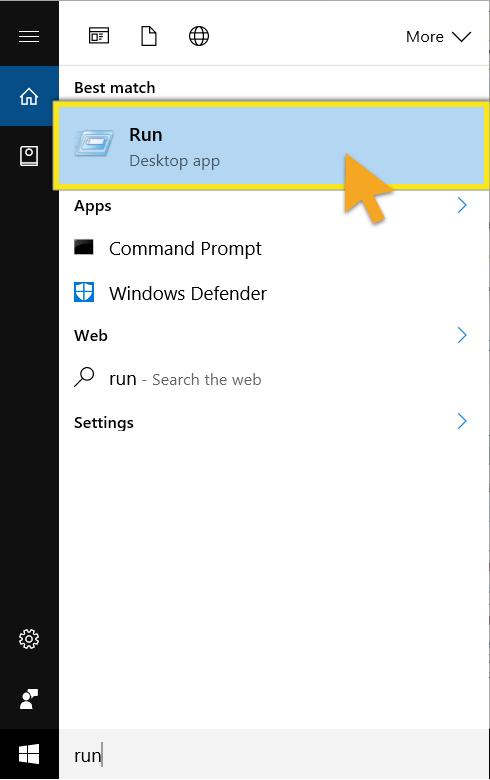 Click Start (or hit the Windows key) to open the Start Menu. 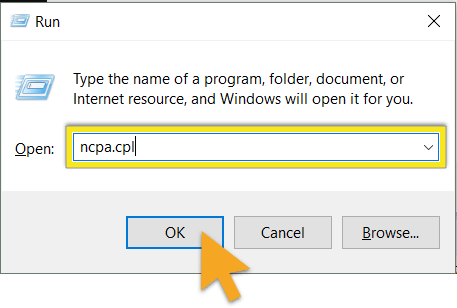 In the Run dialog box, type “ncpa.cpl” and click OK. 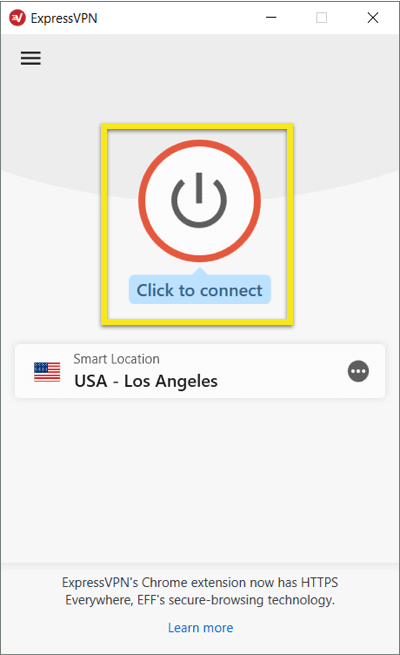 In the Network Connections window, find the ExpressVPN TAP adapter. It’s name often begins with Ethernet. It may also be called Tap-Windows Adapter V9 for older versions of ExpressVPN. Right-click the TAP adapter, and select Enable. If it is already enabled, first disable it and then re-enable it. Can’t locate your TAP adapter? If you cannot see your TAP adapter in the Network Connections window, go to Device Manager > Network adapters > ExpressVPN Tap Adapter. you’ll need to disable driver signature enforcement, reinstall ExpressVPN, and re-enable driver signature enforcement. Open a Command Prompt with admin privileges. You can do this by searching for “command prompt” in your desktop search. Make sure to right-click Command Prompt and select Run as administrator. Close the Command Prompt and restart your computer. Download the ExpressVPN app for Windows. Install the ExpressVPN app for Windows. If you are still encountering issues, first restart your computer, then start ExpressVPN and connect to a server location. If the problem persists after restarting your computer, re-install ExpressVPN. You do not need to uninstall the app first. Simply run the installation program again.